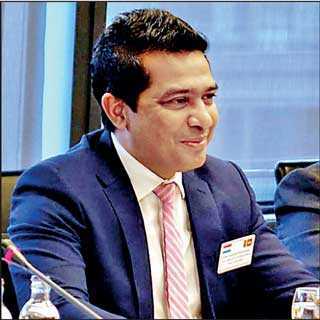 Minister of Science, Technology and Research Sujeewa Senasinghe has been formally invited for the fourth time to attend the 11th annual Global Empowerment Meeting (GEM19) hosted by theCentre for International Development (CID) at Harvard University in Cambridge, Massachusetts on 9 and 10 April. This latest program is a platform where 100 leading international policymakers, chief executive officers, heads of foundations and multilateral organisations and development experts will meet and explore ground breaking research and ideas to generate shared and sustainable prosperity. Furthermore the conference known as Global Empowerment Meeting (GEM 19) will explore a few of the catalysing forces that are shaping the world of development, where questions such as: How can state capacity help us understand the current state of development? What factors influence the evolution of state functions, political order, policy priorities and power? What are the biggest challenges to enhancing state capacity on the ground? How do policymakers navigate the restrictions imposed by the political order and existing state capacity to push forward reforms, will be addressed. Among the leading speakers are Francis Fukuyama, political scientist, professor andbestselling author and James Robinson, economist professor and Director of The Pearson Institute for the study and Resolution of Global Conflict. Minster Senasinghe has had a strong connection with Harvard University’s Centre forInternationalDevelopment (CID) having participated earlier in August to September 2016 at an Executive Education Program titled ‘Mastering Trade Policy: Understanding and Acting in Today’s Economy,’ which was initiated by Prof. Robert Z Lawrence of Harvard University, as well as having participated in 2017 and 2018 GEM meetings. Hence the participation by the Minister at the 11th annual Global Empowerment Meeting will be an excellent opportunity to interact and exchange in a wide spectrum of specialisations and to make a strong case in favour of Sri Lanka as a developing nation, shaping its economy on science, technology and innovation based initiatives.